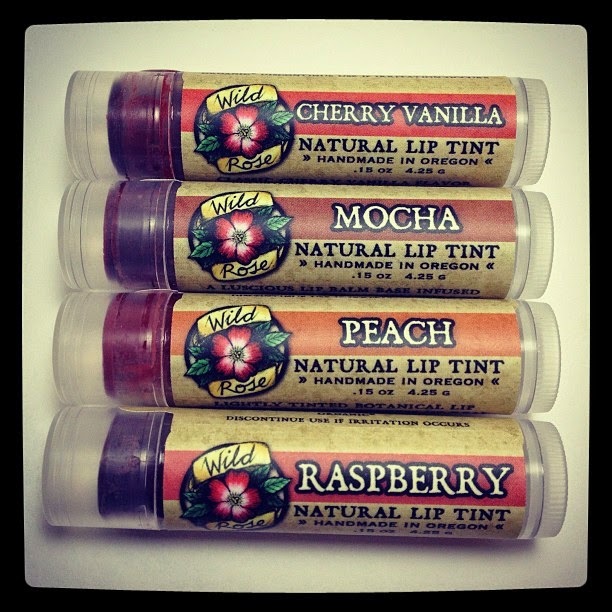 Home / Blog - Wild Rose Herbs / New Lip Tints for Spring! New Lip Tints for Spring! Cherry Vanilla Lip Tint - Naturally colored with Alkanet and Paprika for sheer, bright red color. Genuine Organic Cherry and Vanilla Extracts give this tint a delicious, classic flavor. Peach Lip Tint - Alkanet and Organic Beet Root combine for a sheer pink-orange shade. Flavored with the summer sweetness extracted from real organic peaches. Raspberry Lip Tint - The same shade as Cranberry Blood Orange, a deep, yet sheer pinkish-red. 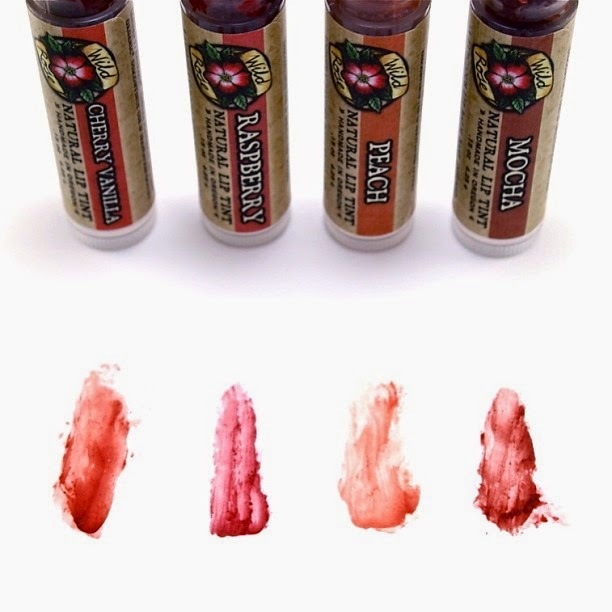 Organic Raspberry Extract gives this lip tint a tangy-sweet berry flavor. Mocha Lip Tint - A luscious balm infused with the colors and flavors of real Coffee, Cocoa and Vanilla. A dark reddish-brown shade with a soft purple hue, Mocha's sheer color allows for a diversity of color applications.